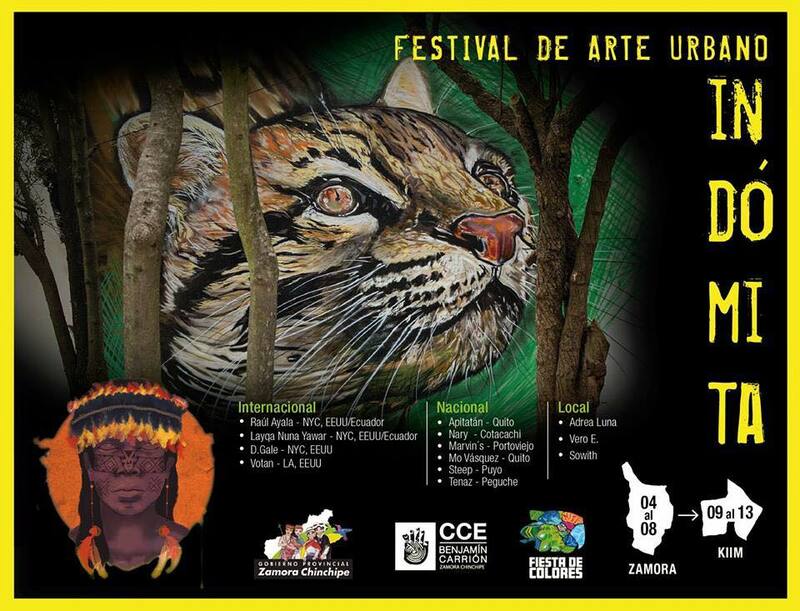 In November 2017, Fiesta de Colores travelled to the Amazonian province of Zamora Chinchipe to join forces with Indómita Urban Art Festival, a yearly mural conference that utilizes art as a tool to promote environmental conservation and celebrate and preserve the customs and cultural traditions of the Amazonia. 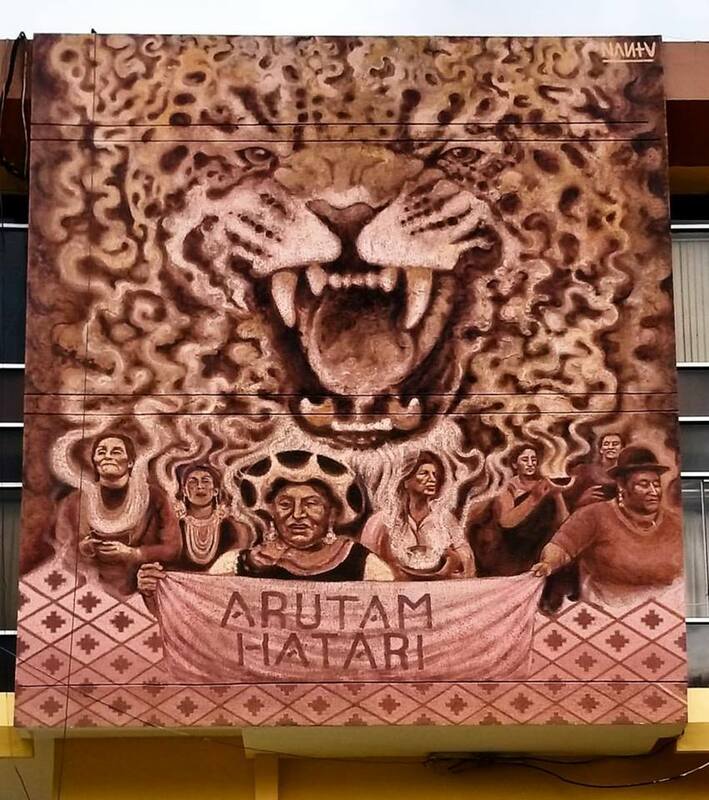 The sixth edition of Indómita brought together 12 international, national, and local artists for 10 days, and consisted of two parts: the first of which took place in the capital city of Zamora, where artists painted 13 large-scale murals in public spaces in the city center to create an open-air street art gallery that celebrates Zamora's diverse cultural groups, honors it's rich biodiversity, and engages the public in a visual dialogue about the socio-environmental impacts of the large scale mineral extraction projects taking place in the Cordillera del Condor. 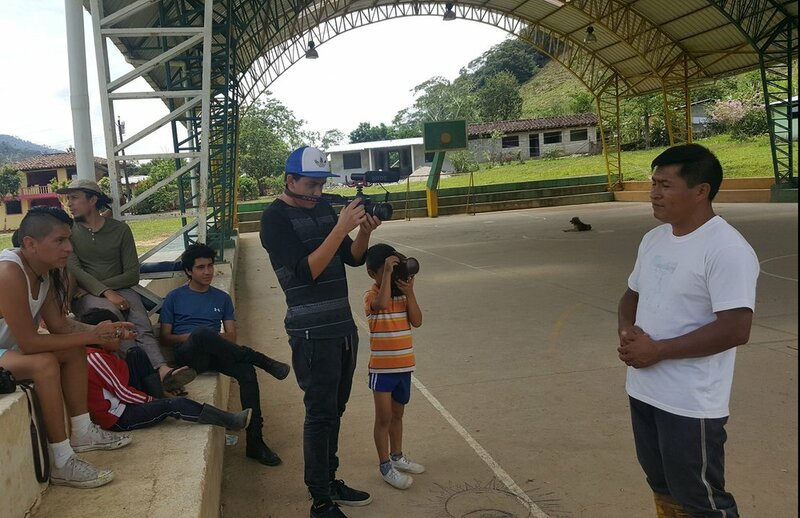 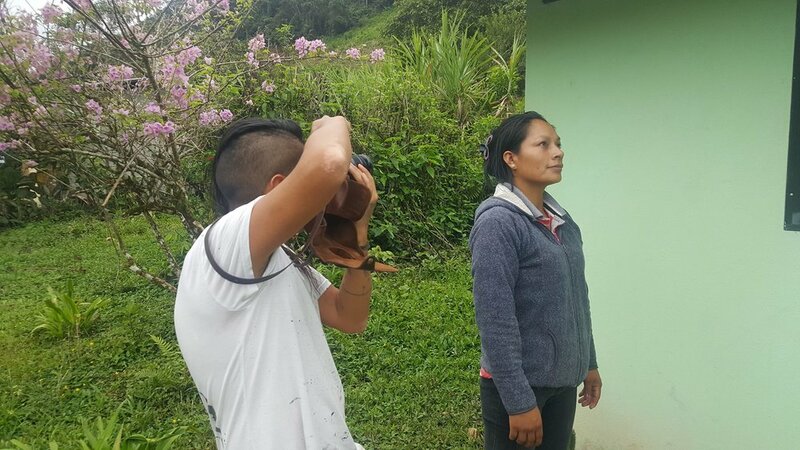 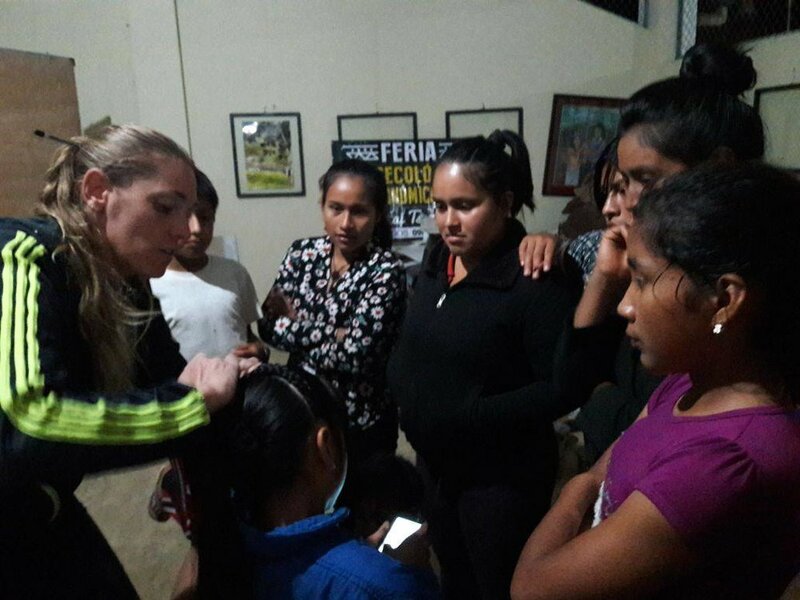 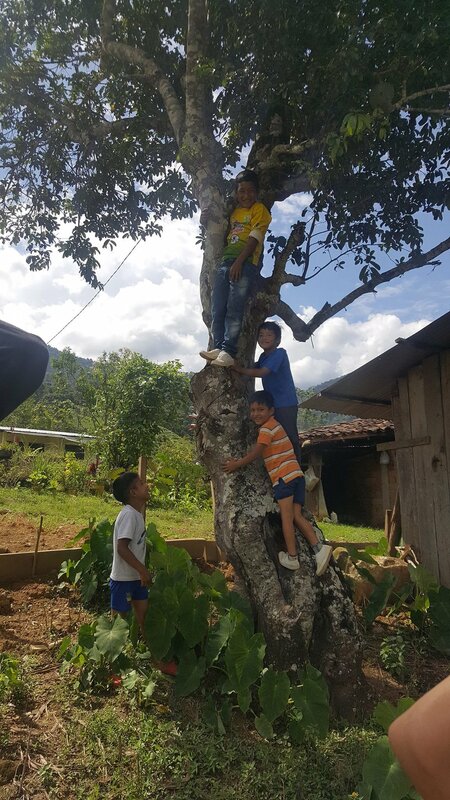 The second part took place in the Shuar community, El Kiim, where artists spent 5 days living and working with community members in an artistic and cultural exchange immersion, sharing ideas and skills in a series of workshops and discussions. 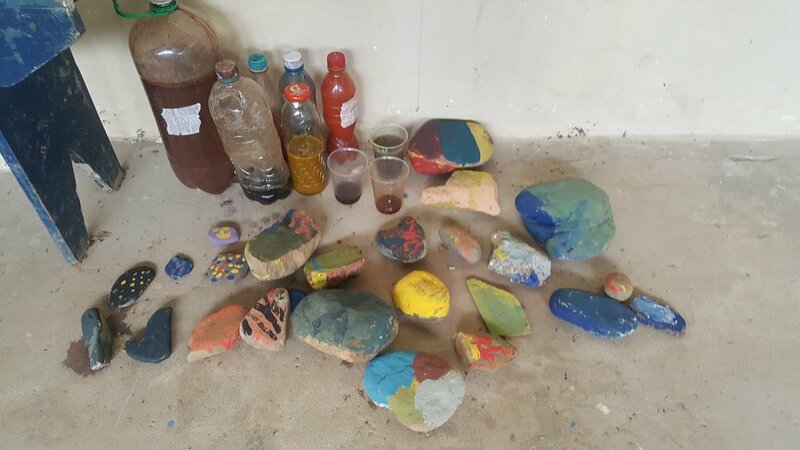 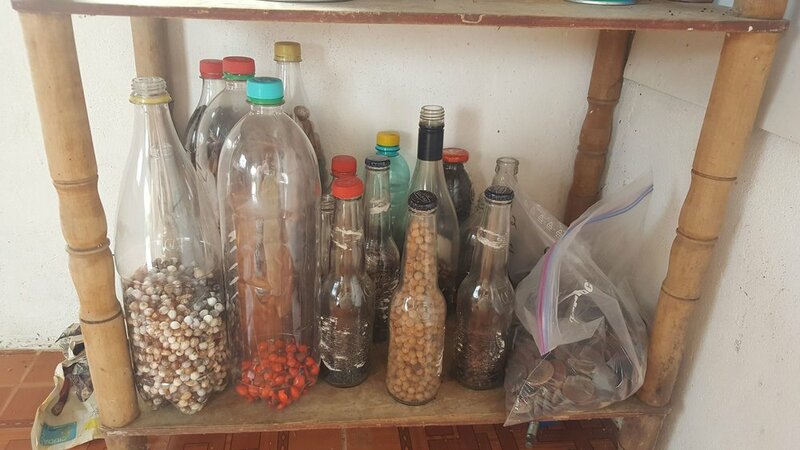 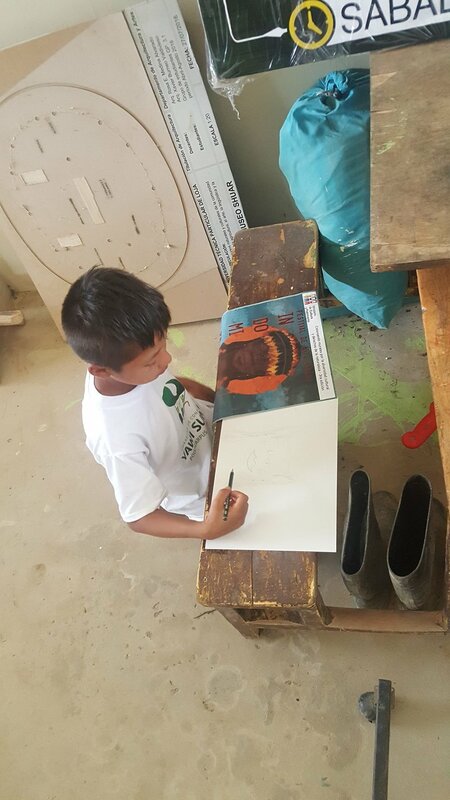 Arak Ecoclub leader, Cesar Tiwi, taught the artists how to harvest and process local plants and seeds to make natural pigments to paint with, while community leader, Washington Tiwi, and other community members taught the artists about Shuar culture and myths. 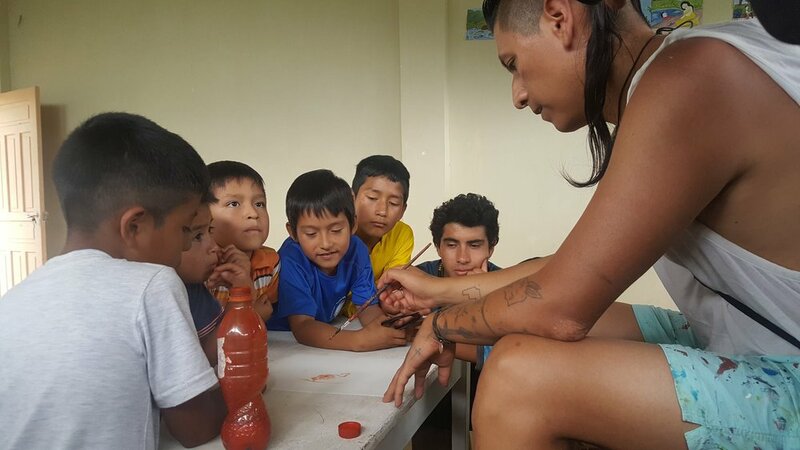 The artists in turn led workshops in color theory, painting, hair braiding, and muralism. 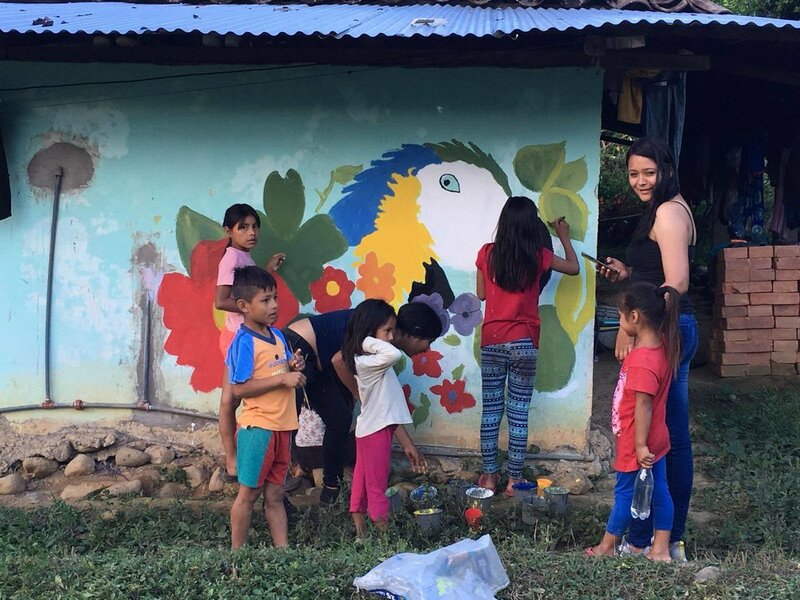 Afterwards, the artists and the community collaborated in creating 5 community murals that visualize Shuar cosmovisión and celebrate the community's local flora and fauna.